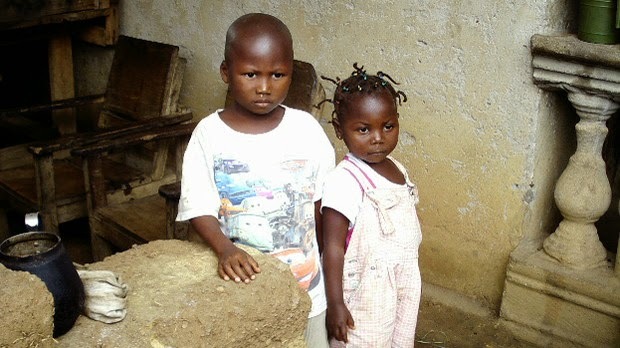 The Ebola outbreak in West Africa is leaving thousands of children orphaned, without help. Today I was fortunate to be part of an MsKr Ho'oponopono Conversation about Care of the Self -- with many participants, including Kamaile Rafaelovich and Dr. Ihaleakala Hew Len. Today's specific topic was: "How does the Care of the Self (unihipili) through SITH® affect the physical body?" For those who haven't previously taken Self I-Dentity through Ho’oponopono® classes, the unihipili is that part of the Self which is subconscious. It's like a small child needing love, concern, and gentle guidance from a caring parent. It's also the part of our Identity which runs all physical processes in our bodies, and which holds all the memories our soul has collected through eternity. These memories (or data) can show up as "problems" in our lives -- repeating over and over like an endless loop. Until we choose to let them go through Ho'oponopono cleaning, they cause us to suffer. Examples of such problems include physical or emotional symptoms, interpersonal conflicts, car accidents, financial difficulties, and even things which we might feel are completely unrelated to us -- like wars, famines, crimes, and epidemics. The bottom line is that once we notice a problem -- no matter what it is -- there IS a connection with us. We then have a choice: take 100% responsibility to start the Ho'oponopono cleaning, or ignore it. Ignoring it adds further suffering to our Inner Child (unihipili), which has to continue holding the burden for even longer. After all, the "problem" is only showing up because it's a memory within us that needs to be released. Choosing the "ignore" option is like abandoning our own Inner Child all over again -- and this happens billions upon billions of times. Alternatively, we can choose the Ho'oponopono cleaning path. One way is to simply say inwardly, "Thank you." Or "I love you." There are countless other ways too. All are simple, and Divinity takes over from there to transmute whatever is correct to transmute. Divine mana, or energy, is left in the memory's place -- freeing our unihipili a little more each time. Ahhhhhh. The physical body can experience all kinds of things: aches and pains, cancer, indigestion, obesity, fevers, depression -- you name it. People on today's call mentioned all sorts of situations they might be experiencing; many expressed gratitude for the Ho'oponopono process to apply to these things. There may or may not be noticeable improvement; but in some cases there certainly is. These calls themselves are opportunities to clean with what anyone else raises; they are definitely not passive experiences. So near the end of the session, the call's hosts unexpectedly called on me. Listening and cleaning with the subject of abandoned, suffering Inner Children, I had also been cleaning with the people of West Africa suffering with Ebola -- especially the children left behind when their parents or whole families died. If they're lucky, neighbors or extended family might feed and care for these children; in many cases, they're shunned instead. No one wants to touch these [possibly infected] ones, who are feared and sent away. My heart broke completely open for all these suffering kids -- who are so like the rest of our inner children that we have left behind for eons. Not able to contain my tears, I apologized for weeping as I spoke about these issues. "Don't apologize," said Dr. Hew Len. There was silence on the line for a time -- yet I could feel him, Kamaile, and all the other participants cleaning with these children and me. A new cleaning tool arose, and was shared. Somewhere inside, a tender peace eventually came. It still felt raw, yet authentic. I'm not in Liberia or Sierra Leone myself, and have felt that my financial contributions aren't doing enough to help. "Those" people are actually part of me. We are kin, and this transcends any geographic border. In this experience I realized that cleaning with Ho'oponopono may be a worthy contribution in the Ebola crisis -- though not as visible as others. If you feel likewise, you can help by connecting with your own inner child -- who is waiting for you. Take good care of him or her. When you do, s/he will work with you, letting go of painful memories showing up as problems even when you're asleep. We never know what can happen when we practice this way, what Divinity can do, and what Divine inspiration might lead us to do next ourselves. Thank you to Morrnah for developing Self-I-Dentity Through Ho'oponopono, and to all who were with me today.